Pascal Arbez better known by his stage name Vitalic is an electronic music artist. He was born in France. His first singles were released in 1996 and 1997, but were confined to the underground electronic music scene. However, he became good friends with Michel Amato, also known as The Hacker, whom he met in the Rex, the "techno temple" of Laurent Garnier. The Hacker suggested he send his new tracks to DJ Hell, head of Gigolo records in Munich. Pascal did so, and International DeeJay Gigolo Records released the well known Poney EP in 2001, which was a huge success shortly after its release. With the track "La Rock 01", Vitalic created a club anthem which was a hit in the summer of 2001. The track was also included on many compilation albums, even rock compilations. Miss Kittin included "La Rock 01" on her DJ mix album On the Road. 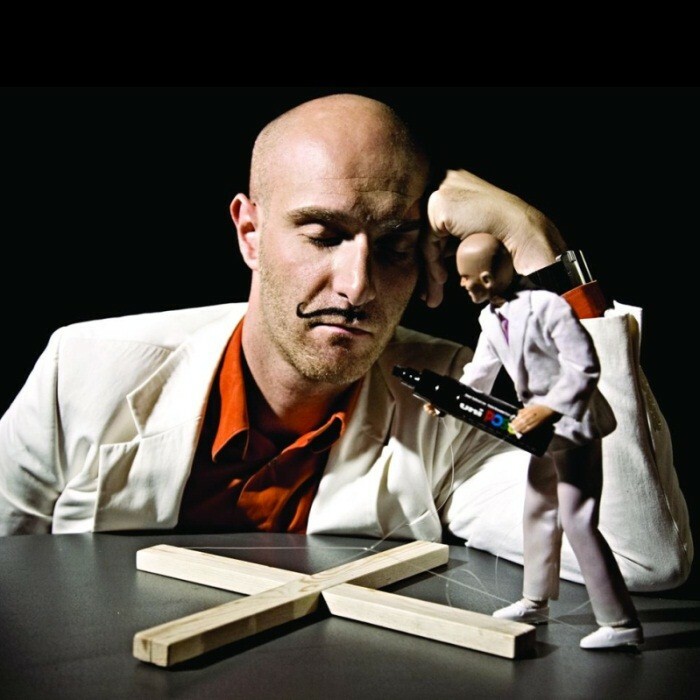 In 2005, Vitalic's released his debut album, OK Cowboy on Different/PIAS Recordings. Pascal states that all of the instruments used in the album are synthesized. His official website states that "the only thing he can't fake is the emotion that galvanizes his music." His song "Trahison" from OK Cowboy was used in the trailer for the 2007 French film Naissance des Pieuvres. His song "Poney Part 1" was featured in the Pleix film Birds. It was announced by Festival Republic that Vitalic would be playing both the Reading and Leeds Festivals in the UK in August 2009. Vitalic's second studio album Flashmob was released on the 28th of September 2009. The first single, "Your Disco Song" is available for streaming at Vitalic's MySpace page. He has spoken a great deal about the new disco influence on Flashmob. The song "Poison Lips" from Flashmob was used in the 2012 film Dredd. Vitalic's third studio album, Rave Age, was released on November 5th, 2012.